Welcome to the most charming hotel of Maastricht, within a stone’s throw from downtown’s most popular squares, the cheerful pubs and famous restaurants, the trendy shopping streets. And yet located in the old Jeker district with its quiet narrow cobblestone streets among an endless row of historical buildings. 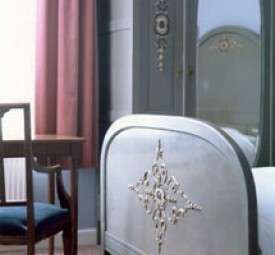 Hotel les Charmes started at the end of 1997 with six rooms, due to success, that proved not enough. 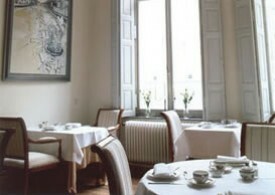 With a lot of hard work we restored the edefice in its original shape of 1725, and since december 1999 we have 15 rooms. The informal athmosphere of the (previous) smallest hotel in town has remained however. 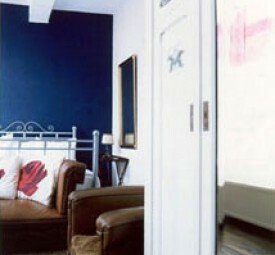 Every room is differently decorated and has its own charm. Besides rooms on the different levels, we also have two rooms on the ground floor. Every room has a comfortable bed, bathroom, cosy corner, radio and TV, minibar and safe, and lots of space. All of our 15 rooms are spacious and provided with a private bathroom with bath and/or shower and toilet as well as a TVset, a radio, a minibar and a safe. Besides rooms on the three floors we also have two rooms on the ground floor. Our listed hotel has no elevator. If you prefer a room on the lower floors please mention this when making your reservation. All our rooms are spacious and equipped with a sitting area so that our guests have enough space to move. All beds are very comfortable. 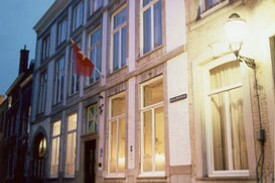 An extra bed can be arranged for EUR 35,- per night. A child’s bed is free of charge. Breakfast is served at your table, in the breakfastroom with verandah. Parkingspace, 10 euro per day. Spaces will be assigned in order of reservation. When all spaces are assigned you will be direct to a public parkingspace. No experiences yet with Les Charmes. Be the first! Did you stay in Les Charmes? Let us know what you thought about it and help others to make the right choice! * I confirm having stayed in Les Charmes. 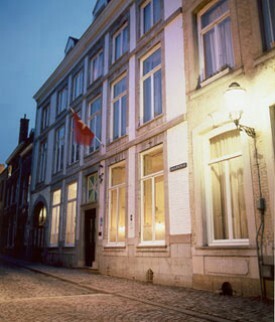 Find other charming hotels in Maastricht or all charming hotels in Limburg (NL).